Annotation: A collection of 25 leveled passages with text-dependent comprehension questions that help students tackle increasingly complex texts and provide the academic rigor called for by the Common Core State Standards. â€¢ Each book features passages at various levels of text complexity. 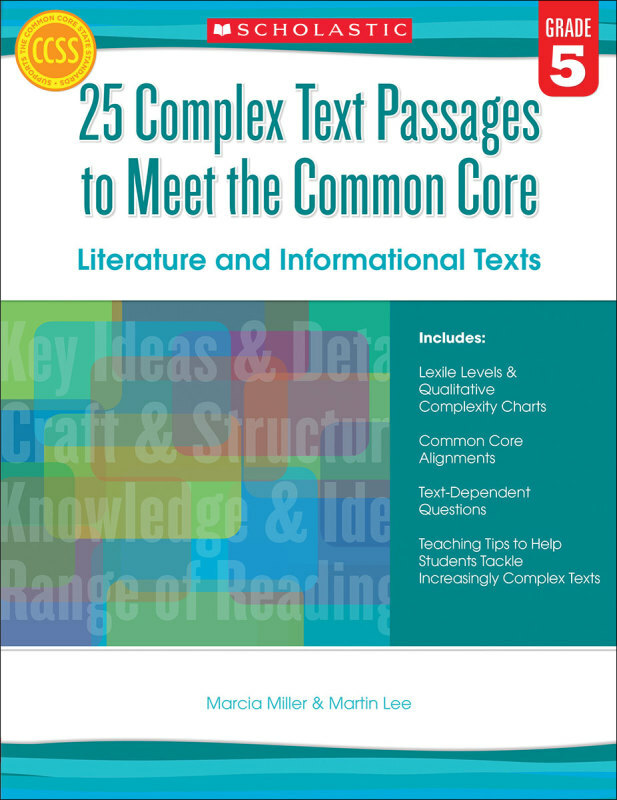 â€¢ Companion comprehension questions require students to read closely, reread, and find explicit examples in the text to support their answers. â€¢ Includes detailed qualitative complexity information to help teachers focus on the purpose and meaning, structure and language, and knowledge demands of each passage.